Here are 10 free tools I use almost daily for my blog. 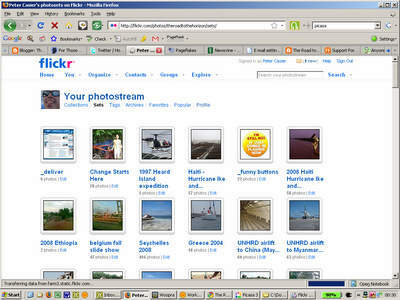 Via my brother Kris, I learned the benefits of Picasa, a free download from Google. Picasa lets you store all pictures on your hard drive in a library and perform basic editing like cropping, tone adjustment and watermarking. But I use it the most to compress pictures in size and quality before posting them on my blog so the download speed is reduced. 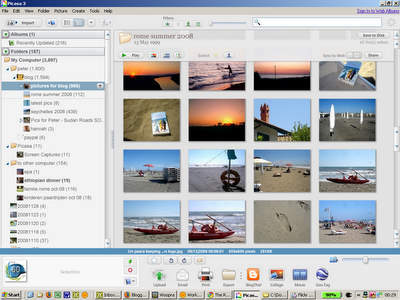 Picasa also allows you to synchronize all your pictures with your online library. There are many free web statistics tools available, but the most well-featured is probably Google Analytics. It provides deep analysis of your blog visitors, top content, referral sites, search keywords, etc.. All data can be displayed in a wide array of graphs and can be exported in a spreadsheet or PDF. 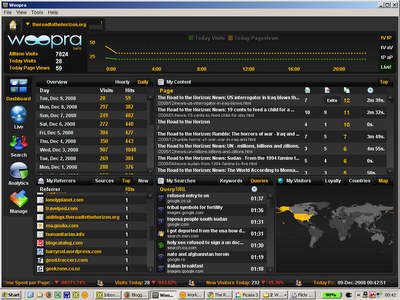 For a different flavour of web activity monitoring, try Woopra. While still running in Beta, this tool monitors activity on your blog or website in real time. It consists of a small script on your page and a downloaded tool for your PC. Woopra shows your visitors as they come in (with all usual details such as browser, country, referral site, etc..) and navigate through your site, tracing the visited pages. More than a curiosity or a 'big brother' tool, Woopra comes in handy e.g. to check which of your posts propagate visitors through your site rather than have them bounce off after the first read. 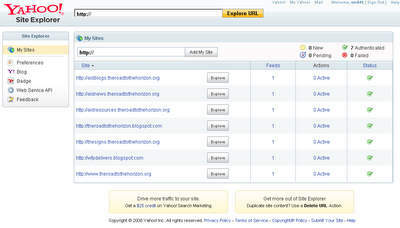 Woopra also offers the standard summarized and graphed page visits, referrals, user characteristics,.. but in real time. Handy comes in the user tagging tool, alerting you when a particular user comes in. Allows you to catch the spammers. 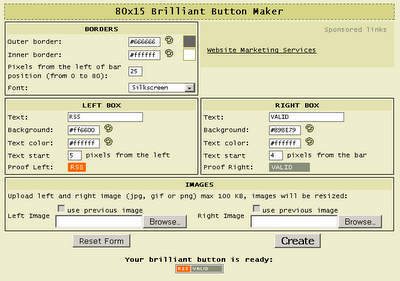 The drop down menu bar you see atop this blog, is made with the CSS Menu Generator by WonderWebWare. 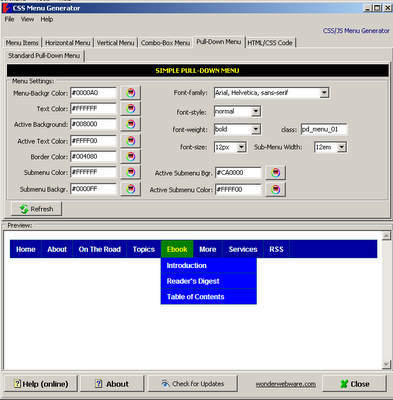 Through an interactive freeware, you customize your menu layout, style and its links, after which it generates the HTML/CSS code, which you can cut and paste into your template. One tip: While the Menu Generator lets you save your menu for later changes, it does not store the styling of your menu, only the structure. I work around it, by saving the HTML in a text file, and when I do updates, I cut and paste the part of the structure only. 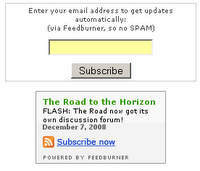 Feedburner is probably the most powerful and commonly used feed tool. It allows you to customize your feed, to keep track of your feed users, provides a wide range of tools allowing users to integrate your feed into their favourite reader, and has a 'subscribe to this feed by email' function. As for any website, a blog gets a Google pagerank, a point of measure of the "importance" of your blog in the blogosphere and the Internet itself. Google uses pageranking to "prioritize" sites when a user searches for certain keywords. 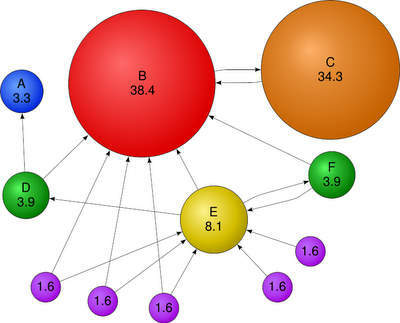 The pageranking algorythm is based, amongst others, on the number of people link to your blog. I use prchecker to monitor the blog's pagerank. 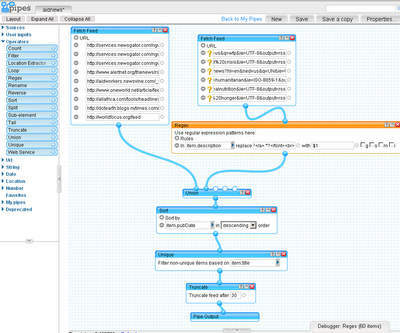 I wrote before on the use of Yahoo Pipes and NewsGator, two tools I use to aggregate, customize and reformat RSS feeds. On The Road, I use them for the comments feed, and the humanitarian news feed in the right column. On The Other World News, Newsgator is used to generate a script searching all aidnews feeds and display the latest. Yahoo Pipes you can see in action on my "meta" blogs: AidBlogs, For Those Who Want To Know and AidNews... All together, about 100 different blogs and other websites are re-mixed, summarized and re-published for a reader to get an overview "what's up". Google offers a wealth of gadgets you can use on your blog. From tickers counting down to a certain date, local weather forecasts, related YouTube videos, Quotes of the Day, jokes to games. I use Google Gadgets for the translation widget in the right column. 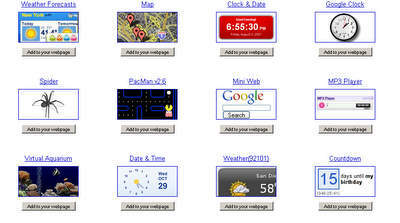 Another great resource is WidgetBox, featuring thousands of widgets. They also make it easy to make your own. Keep in mind though, the more widgets you add to your blog, how slower your page will download. So keep the tips I published in this post in mind. 9. Google and Yahoo webmaster tools. 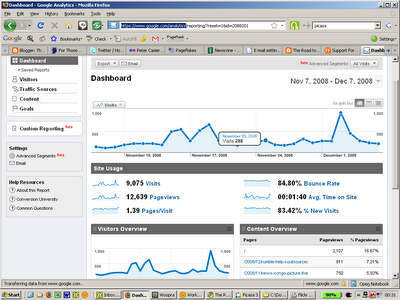 Google Webmaster Tools and Yahoo Site Explorer are two essentials for webmasters. Both require you to register (no fees), and facilitate the overview of how crawl robots look at your site, check backlinks and outdated links on your site. Buttons, icons and badges are a great way to make a link to a service, a page or a function on your blog with a graphical interface. The two tools I use are Brilliant Maker and CoolText. Free and easy to use. More blogging tips and tricks on The Road.